Home / Latest News / Walking and getting good news! Walking and getting good news! Yet another beautiful sunny day here in Carcassonne and the volunteers were out in force. For some reason Thursdays seem to be Brit days, so if any French volunteers fancy improving their English, Thursdays would be a good day to come! No dogs came in, no dogs went out. We ended the day with exactly the same number as we started with, although one identified dog did make a brief appearance. 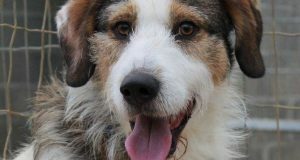 We have had recent and very good news on three of our recently dogs, though sadly no photos yet. 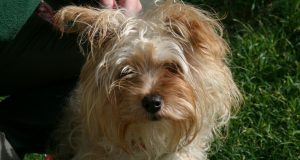 Fido, the poodle cross is doing excellently, as is lovely Duffy, who has been renamed Trompette. She has turned out to be just as cat-friendly as we promised, and her new owner is over the moon. Cheyenne too is doing well and is going to agility classes at the Club Canin Trebes. That is every Malinois’ dream, so it goes to show that her long wait at the refuge was worth while, as it meant finding the perfect home! 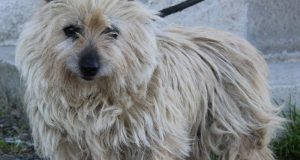 Another dog who found the perfect home is Canelle. 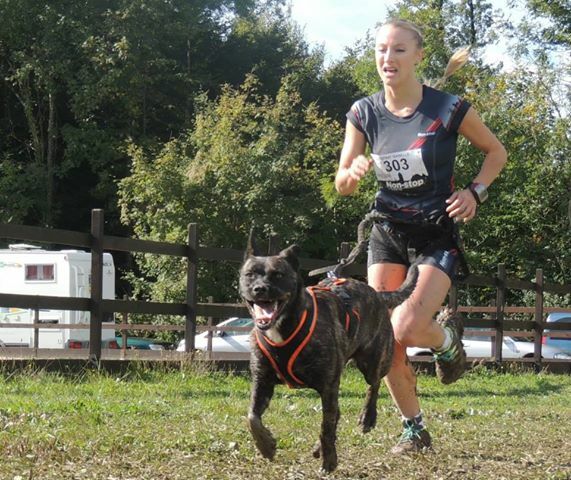 She, as you remember, was adopted by one of our supporters, Isa, specifically for doing canicross. Isa has just returned from the European Championships in Switzerland, where she was placed 17th overall and the 5th French female. An incredible achievement and, as the photos show, there is a love and complicity between human and dog that is wonderful to behold! In a perfect world every dog would find the perfect home, and this is what we want for all the dogs at the SPA. But while they are waiting, the volunteers and employees give them as much love as possible so they are ready to move on when their turn comes! 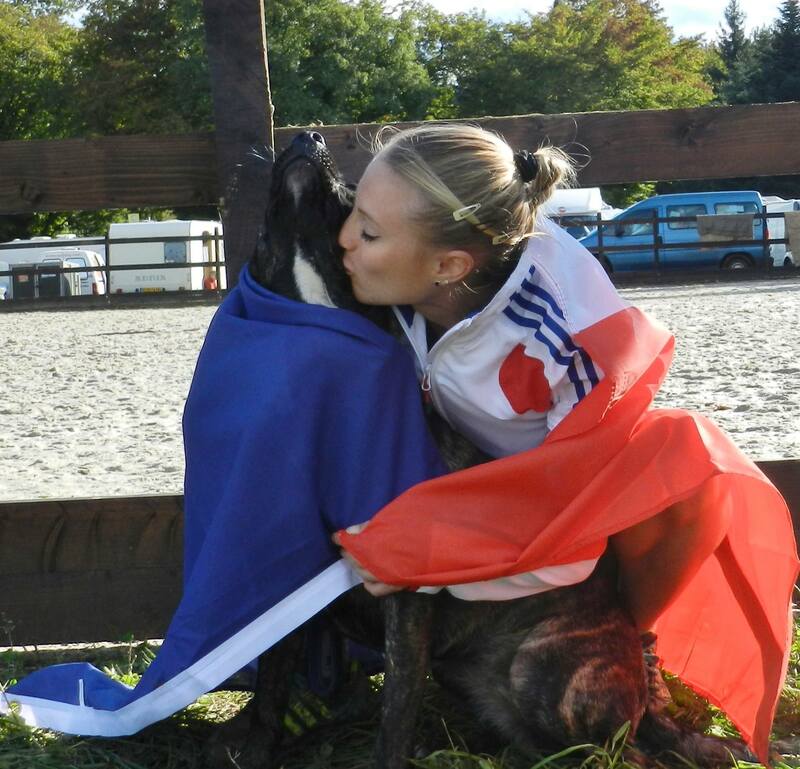 And at the finish, draped in the French Tricolore! Next: Three dogs; three fresh starts! Super photos and wonderful to see such a happy dog. I hope you feel extremely proud of all that you do.